Secure $20 worth of donations from classmates or friends (using your personal link) and receive a WP magnet! Secure $100 worth of donations from classmates or friends (using your personal link) and receive a WP T-shirt and coffee mug! This year marked the 50th Anniversary of WP's Nursing Program! 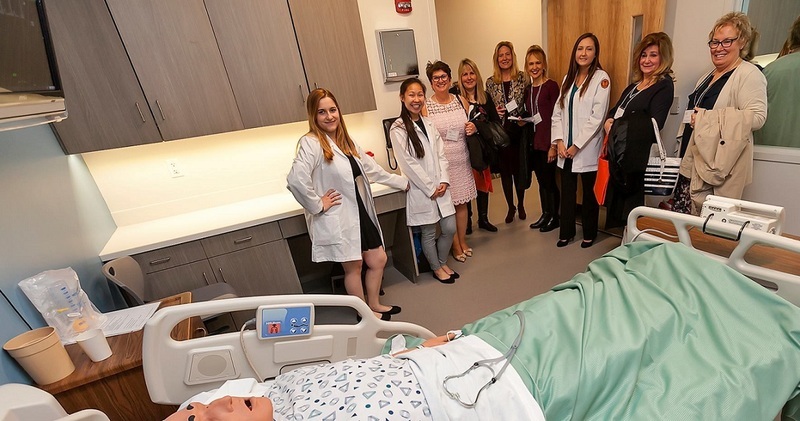 An anonymous donor pledged a challenge gift to establish a nursing scholarship fund at William Paterson. If we raise $12,500, the donor will personally match that sum with another $12,500 to establish a $25,000 Nursing Scholarship Endowment. We are now nearly to the goal! We urge you to make a gift at whatever level you can. This donor’s challenge match will double the value of your gift and at the same time address a critical need for our students. Even more important is that because the scholarship will be endowed, each year a scholarship will be awarded to a nursing student in perpetuity. Your gift will help to create a legacy. That’s a challenge worth matching!